Tableau Online 10.2 includes something special for Google lovers: We’re adding support for Google Sign In. Now you can access Tableau Online with your own Google account, and benefit from fewer prompts for passwords when you’re already signed in to Google. Whether your enterprise is all-in on the Google Cloud platform or you frequently use data sources like our Google Sheets connector, this feature will make it even easier to analyze and collaborate in the cloud. Google Sign In gives you the convenience of single sign-on without requiring investment in a full-scale identity management solution. If your organization already uses Google accounts for storage, communication, or collaboration applications, simply add those users to your site. 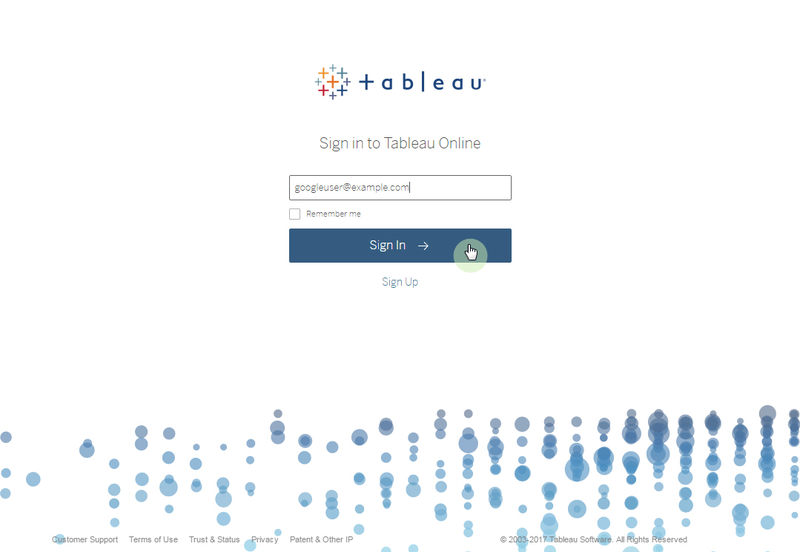 Now they can use their Google account to sign in to Tableau Online, too. Google administrators will love the ability to manage user credentials in a central location. You can reset your users’ passwords and active sessions within the G Suite admin console for an added layer of security to your data in Tableau Online. To configure your site to use Google Sign In, simply check the Google option in the “authentication types” section of the Settings page. Check out this Online Help article to learn more about configuring site access. Next, click “Add Users” to invite others to collaborate using Google Sign In. 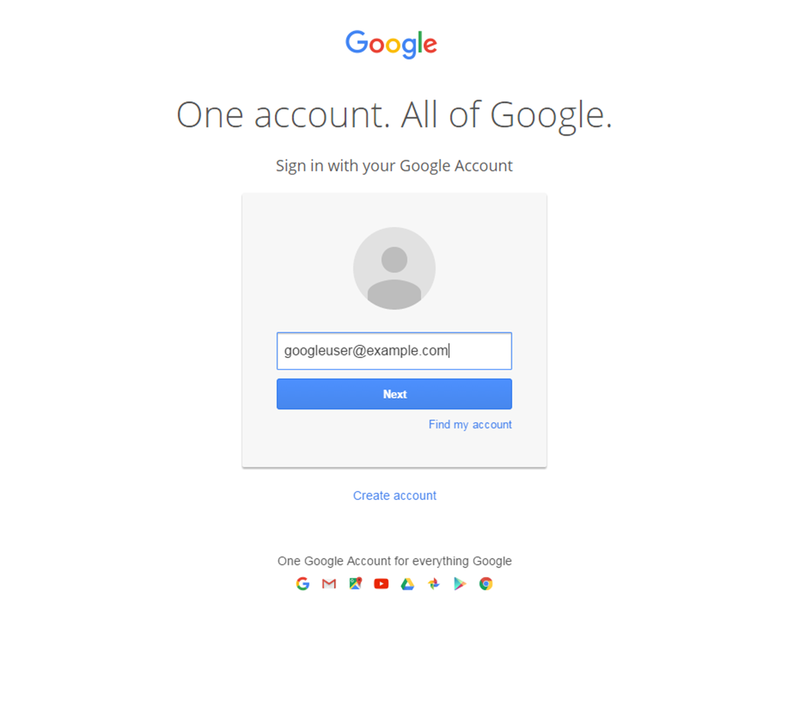 Enter the email address of your users that have a Google Account. If you have many users, you can import a file instead to save time. Now you can send views to your users, or invite others to create their own visualizations with web authoring. When the user is prompted to sign in, they will now be sent to the Google login page before accessing your site. 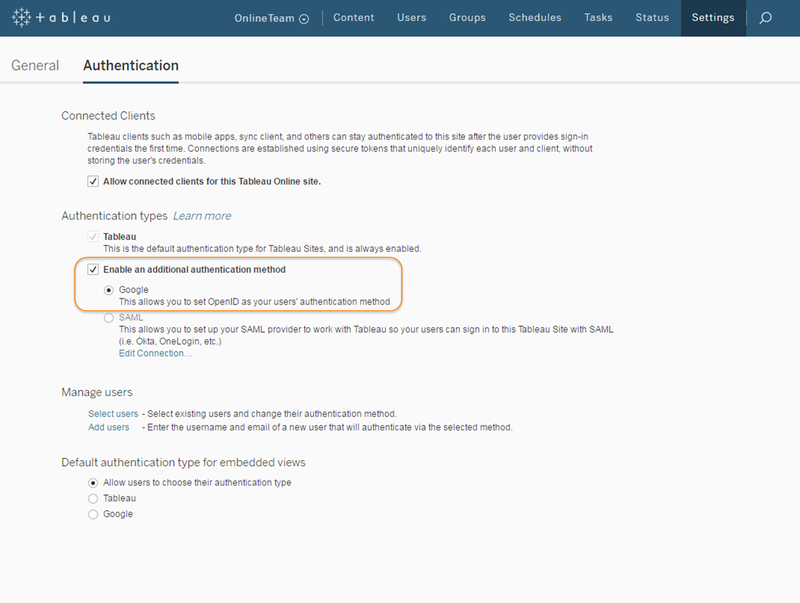 We recommend that you dedicate a site administrator that is always configured to use a Tableau account authentication. 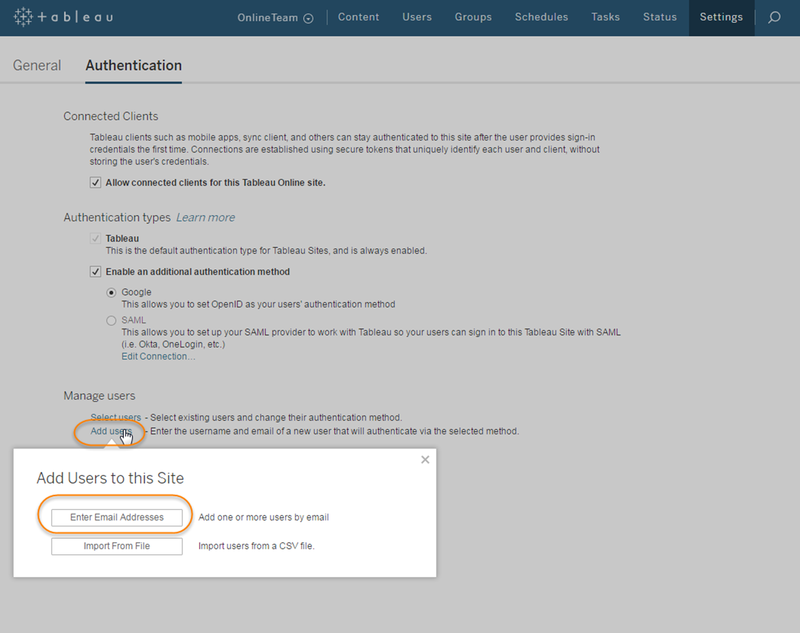 In the event of an issue with your identity provider, a dedicated Tableau username and password ensures that you always have access to your site. 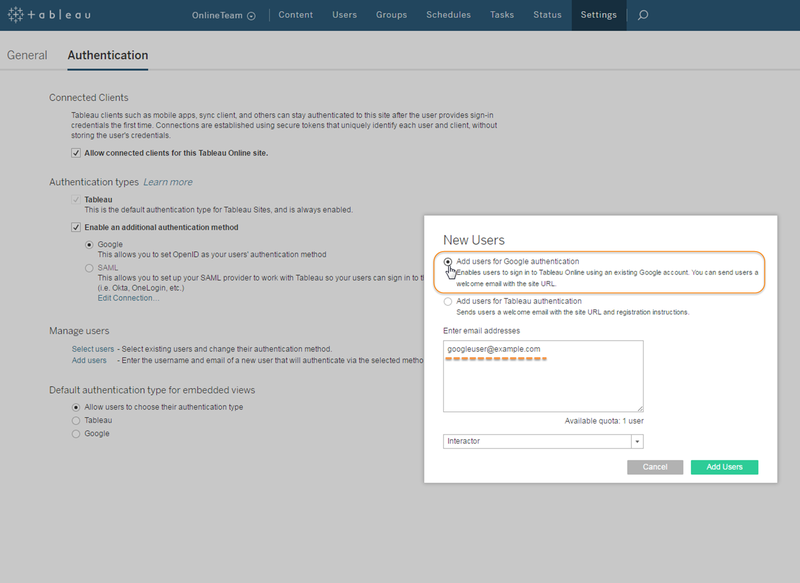 You will also need a Tableau account if you make use of the REST API or the tabcmd command-line utility with Tableau Online. Now that you have Google Sign In for your site, it’s never been easier to invite others and share your data insights. Your users will have seamless access to Tableau Online, and as a G Suite administrator you get the convenience and security of managing your user’s account information in a central location. No matter how your users sign in, there are so many features to love in Tableau Online. If you don’t yet have a site of your own, you can start a free trial in seconds—no setup or hardware required. Like many features at Tableau, Sign In with Google started out as an idea submitted to our Tableau community. We want to hear your ideas on how to make Tableau even better with each release. Online tem mesmas ferramentas que o desktop ? Amei o software, será que o online seria o mesmo ?